Join our continuing legal education programs that are taught by attorney coaches and practice development experts on everything from legal training and technical concepts to the business of law and strategic marketing! The truth is you don’t want to write your marketing campaigns like a lawyer. Do you know what it takes to make your website relevant to search engines today? 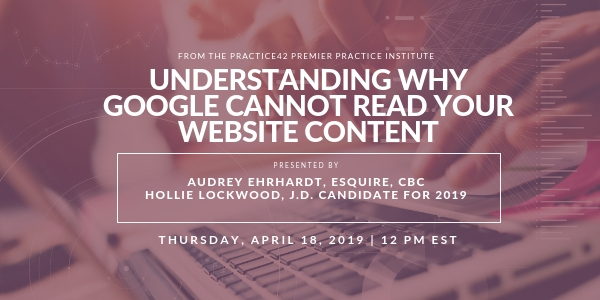 Research tells us that the majority of search engines read at a third grade level and most of your potential clients have an attention span of less than nine seconds. Building your practice isn’t easy, but it can be made a bit less challenging when you have an arsenal of training professionals ready to train you 24/7. We’ve created The Premier Practice Institute just for you. To give you the education, training, forms, resources, and ideas you need to make your practice the success you want it to be! All of our expert presenters have been where you are and know what you are going through. Don’t wait to get to know them! Already a member of our group coaching program for attorneys and their team members? Click on button to access The Premier Practice Institute. 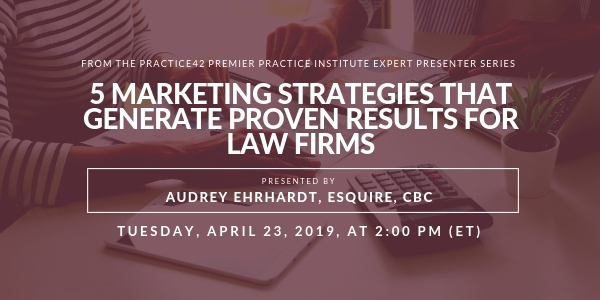 If you need a jumpstart into the real marketing strategies that generate proven results for law firms, then you are going to want to be in the room for this educational webinar that will give you the best practice tips, training, and implementation structure you need! After all, why trust your legal marketing to other companies that do not specialize in legal marketing? 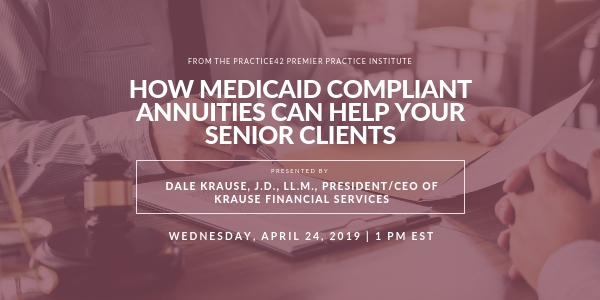 Join Dale M. Krause, J.D., LL.M., national Medicaid planning expert and President and CEO of Krause Financial Services, as he discusses Medicaid Compliant Annuities. Dale will dive into key factors of Medicaid planning as well as real-life case studies using one of the most powerful crisis planning tools in the industry. 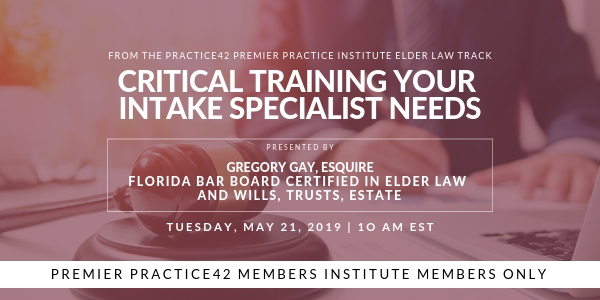 Watch FREE Continuing Legal Education Trainings and Experience What All The Practice42 Buzz Is About!